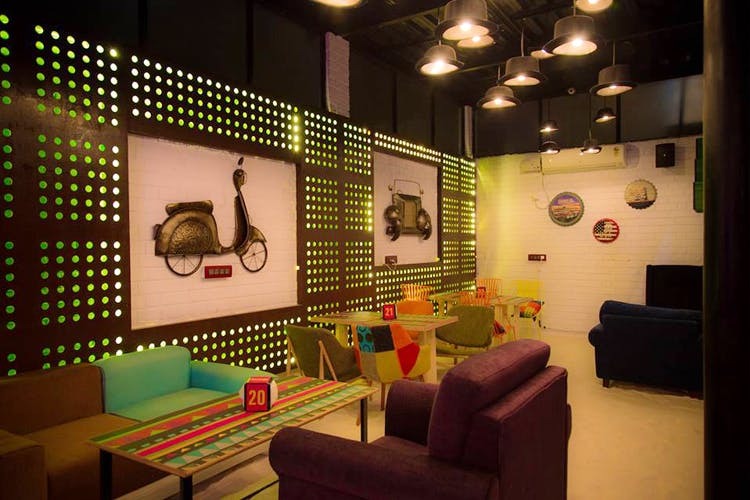 Kitschy and colourful eatery Baithak, has just opened in HSR Layout, with multi-cuisine food and hookah to puff away on. Filled with multi-coloured interiors and 3D images of vintage cars framed on the walls, Baithak gives you those proper 60’s Pop Art vibes. It’s also very spacious and comes with a sand flooring. So, ladies, don’t wear your heels lest you want them sinking into the sand! Yes, they’re primarily a sheesha lounge but Baithak’s menu has every cuisine you can think of — from American and Mexican to Indian and Chinese. We’re suckers for a good milkshake and they’ve got a big selection of them, including Red Velvet and Oreo flavours. Watch this space for more!